The behaviour exposed by the personnel adversely affects the performance of the companies and organizations. The managers play an important role in regulating the performance of the staffs. This regulation is reasoned behaviour in terms of achieving the desired outcomes. Developing plans, based on the performance management of the employees, proves beneficial in terms of systematizing the activities according to the identified and specified requirements (Miner 2015). This assignment peeks into the leadership styles adopted by MEATPACK for bringing change within the organizational performance. MEATPACK is a family owned business, situated in the threshold of Sydney, Australia. The company deals with the sale of meat products, soups and other meals, which are freshly prepared in the processing plants located in New South Wales and Queensland. The target audience for the company are retail chains, restaurants and local food companies operating within and outside Australia. Derek Bison is the founder and CEO of the company. He is the fourth generation in his family to deal in meat industry. In 2013, the sales revenue of the company was AUD$300 million. This reflects the slow and gradual advancement towards the goal of becoming $1 billion Company by 2020. Currently, the company is tackling with the challenges of leadership and culture, which is discussed in the following section. Planning towards changing the mindset of the senior strategy team reflects Bison’s hands on approach towards the business. His involvement in providing coaching to the senior strategy team justifies his character as visionary, obsessive, never satisfied and restless. Positive response from the team members adds value to the character of Bison as the CEO. Inspired by the response of the team members, Bison was enthusiastic towards the progress of his strategy in the right direction. However, in the last year, he ceased to be personally involved in the coaching activities. This attitude reflects hands-off approach of Bison. However, he consulted the external sources for assessing the effective of organizational culture (Pinder 2014). Introduction of Human Synergistic Circumplex can be considered as hands-on approach of Bison in terms of attracting the customers on a large scale. Planning to make the organizational culture constructive adds to the consideration regarding Bison’s exposure of hands-on approach. Realization regarding the need to make the organizational structure is the direct involvement of Bison regarding enhancing the productivity. Countering this, mere realization relates with hands-off approach and necessitates more of hands-on approach. The following transitions project the creation of a flexible senior strategy team. Bison felt that these changes have heavily influenced the performance of the team members. For this, he considers himself as the prime agent for this transition. This confidence places hands-on approach in case of the characteristic traits of Bison. According to him, if he is not personally involved in the activities, then the progress of the business is hampered. This doubt necessitates the need for more hands-on approach towards the business (Luthans, Luthans and Luthans 2015). Positive dynamism in terms of meetings and open forums is an example of hands-on approach adopted by Bison. However, confusions among the team members regarding being a part of the team indicate the need for more hands-on approach in case of Bison. This is in terms of improving the professional relationships. Confusions gave rise to conflicts and accusations within the team members regarding their presence in the meetings. These conflicts create a negative impression about Bison in the minds of the senior leadership team. It is striking that in spite of being tenured, there are confusions in this team regarding their role. This is alarming in terms of taking the business to a stable position and intensifies the need for more hands-on approach. According to Greenberg (2014), active participation in the open forums is a hands-on approach displayed by Bison. However, negligence towards questioning Bison’s decisions raises doubts over the team members’ understanding towards the business operations. These doubts reflect the need for more hands-on strategic approach. There are more confusions regarding accountability in case of Bison’s role. These confusions also add to the need for hands-on approach. Loss of leaders in the past years declined the performance of MEATPACK. Bison can be blamed to some extent for this loss, projecting the need for adopting more hands-on approach. However, in terms of the positive impact, which the leaders claimed reduces the intensity of the blame upon Bison. However, turnover of the leaders necessitates the need for hands-on approach in terms of retaining the normalcy in the workplace (Gelfand, Aycan, Erez and Leung 2017). Hostile relationship with the suppliers is also one of the reasons why Bison needs to adopt hands-on approach. A competitor taking the charge of the business sheds off the position of CEO in case of Bison. This is a shameful in terms of the character of Bison. His leadership style was not appropriate in terms of the organizational requirements. In order to restore the lost honour of the company, Bison is urgently in need of hands-on approach. In such a situation, envisioning greater prospective is somewhat inappropriate. However, in terms of restoring the productivity, revisions were needed in the organizational hierarchy. Bison envisioned himself in a higher position, which generated debates regarding the higher authorities to be reported. This is in terms of the current doubts regarding the role of Bison (Knippenberg and Hogg 2018). Planning regarding the development of leadership competencies is appropriate in terms of giving a good start to altering the workplace scenario. Evaluation of the character is a wise step taken by Bison in terms of making alterations in the leadership. Clarity in the self-strengths is effective in terms of achieving the changes. Along with this, attempting to alter the mind-set of the team members, make Bison a true leader. Coaching the senior strategy team is a reasoned action of Bison in terms of polishing their preconceived skills, abilities and competencies towards management. The positive response from the team members adds value to the strategic approach of Bison. However, Bolman and Deal (2017) is of the view that stopping the direct involvement is an immature step taken by Bison . This is in terms of leaving the team members at a time when everything was going strategically. Involvement of the team members in spite of the absence of the leader reflects the attempt to upgrade the performance. Contacting external sources reflects the inquisitive nature of Bison in terms of altering the workplace environment. Human Syngergistic Circumplex proved effective in terms of bringing out the current condition of Meatpack in terms of the business operations. Discovery of aggressive and defensive behaviour is challenging for Bison in terms of attracting the foreign clients (Kinicki and Fugate 2016). Spontaneity in realizing the need for changing the behaviour is a wise step in terms of modifying the hospitality. Constructive behaviour is the target, for which training is needed. Planning regarding shifting the organizational hierarchy is an effective option in terms of organizing the business operations. Stressing on the performance of the front line workers is appropriate in terms of enhancing the productivity. Entrusting them with greater responsibility is effective, as their preconceived skills, knowledge and expertise needs to be enhanced. Setting up a stable human resource department is a wise step in terms of gaining an insight into the resources needed for bringing the change. As per the arguments of Kanfer and Chen (2016), organizing leadership development programs proves fruitful for the leaders. This is in terms of assessing the appropriateness of their personality in terms of the identified requirements. Plans for coaching the leaders is a matured step towards upgrading the skills of the leaders towards managing the performance of the team members. The effectiveness of the plans can be detected from the positive response of the team members. Confession regarding struggling with the transition processes reflects the initiatives towards preparing the team members for the bigger workplace challenges. These initiatives reflects the characteristics of a successful leader. Here, leadership theory can be brought into the discussion. As a matter of specification, trait theory can be applied on Bison in terms of the initiatives, which he took for supporting the senior strategy team members (Miller 2016). Inquisitive nature of Bison towards directing others truly defines him a as a leader. However, supporting approach towards the needs of the team members is appropriate in terms of estimating the progress of Meatpack with the current strategic condition. His feeling regarding the decisions, not being taken expediently relates with one of the essential characteristics of a leader. This is because a leader is concerned about the success of the company. Initiatives of Bison added positivity in the business dynamics of Meatpack. Specifically, it yielded positive results in the senior strategy team. Organizing open forums and discussions with the higher authorities is appropriate for assessing the feasibility of the proposed changes. Here, main focus is on the identified and the specified objectives, which provides proper direction to the assessment. Along with this, open forums acted as a platform for the personnel in terms of raising their voice against the issues, which they are facing while executing the allocated duties and activities (Graham, Ziegert and Capitano 2015). Apart from this open forums also proved effective in reducing the confusions, conflicts and misunderstandings within the team members. However, confusion of one attendant nullifies the open forums. Confusion regarding being a part of the team raises doubts regarding the role of Bison in terms of briefing the members about their roles in the workplace. Discussions related to the presence of the team members seemed irrelevant to some of the members of the board panel. They felt that these discussions were a wastage of the time meant for undertaking prospective decisions towards restoring normalcy in the workplace. There were heated discussions in the other senior strategy team members regarding their role in the workplace operations. Weick (2017) opines that debates and discussions on the role of the personnel delays the decision-making process. This stalls the productivity of Meatpack, raising doubts over the aim to become $1 billion Company by 2020. Negligence towards questioning the decisions implemented by Bison, is the weakness of the team members. Viewing it from the other perspective, questioning is a kind of evaluation, which helps the leaders in revising the implemented decisions. Absence of questioning sessions results in the achievement of negative outcomes. This absence adds negativity into the traits of Bison as a leader. However, enthusiastic approach towards answering the questions of the team members is a wise attribute of Bison in terms of venturing into the path of leadership (Elsbach, Kayes and Kayes 2015). This inquisitive approach makes him approachable to the team members in terms of resolving the doubts related to the execution of the activities. The concerns of COO regarding the loss of effective leaders is a challenging issue for Meatpack in the current condition. The major drive behind this are the direct reporting to CEO, conflicting personalities, CEO’s direct involvement in the areas of operations, creating positive impact before switching over brands, hostile relationship with the suppliers. Most striking facts within these reasons is handing over the charge of Meatpack to a competitor. Switching authority sheds off the responsibilities from Bison, which raises doubts over his capabilities. The senior strategy team was about to propose certain changes in the organizational structure (Chen, Chen and Sheldon 2016). These changes were introduction of new soups with the arrival of new CEO by the end of 2013 and existing COO would replace Bison as the new CEO. Bison claimed that he envisioned himself as a group CEO along with the existing two CEOs. According to the long term goals, he picturized himself as executive chairman from CEO. This brings goal setting theory into the discussion. Setting goals improves the focus of the personnel on the execution of the business activities in an efficient and effective manner. Shirt term goals result in the picturization of the progress for a limited period of time. On the other hand, long term goals assists leaders like CEO to estimate the progress with the current strategic condition. Bison claims that he is “not really a big people person”. This indicates his lack of focus on envisioning big things. This approach is inappropriate in terms of enhancing productivity, as the leaders need to create long terms goals for upgrading the standards and quality of the performance (Nicklin and Spector 2016). Organizational structure reflects the business dynamics within the workplace. As a matter of specification, the organizational structure reflects the professional relationship between the personnel in terms of executing the business operations. Collaborative approach is maintained between the personnel, so that the activities are completed within the stipulated time. There are different types of organizations projecting the approach towards managing the performance of the activities. These types are flat, hierarchical, functional, divisional, matrix among others. In case of Meatpack, flat organizational structure is reflected, which symbolizes the absence of effective management in the managerial levels. As per the opinions of Tian and Peterson (2016), the flatter organizational structure is mainly concerned with the decision-making process rather than providing promotion for the employees. This does not mean that the managers do not supervise the performance of the employees. Regulation and control of the employees’ performance is there, however, it is less explicit. One of the changes, which Meatpack has brought about in the workplace in the recent years, is the introduction of Enterprise Resource Planning (ERP). This initiative resulted in the segregation of the company into multiple branches. In spite of this division, the employees exposed mutual understanding in terms of working towards the common goal of achieving success. Elimination of the managerial levels increased the responsibilities of the employees. Ployhart (2015) opines that removing excess project management layers improved the communication with the employees through the means of discussions and open forums. These methods proved effective in terms of mitigating the conflicts, discrimination and harassments, which picturized the workplace scenario of Meatpack. Aggressive nature of the manager adds negativity into the role of the managers in terms of controlling the public relations. It is striking that the managers did not attempt to delve deeper into the reasons why they were encountering failures. Instead the focus was on “just making the things happen”. This approach reflects the lack of planning, especially in the case of the managers. Along with this, it also reflects the lack of evaluation for the exposed performance. This lack is the main reason for absence of understanding regarding the achievement of failures. However, creation of enterprise resource planning gave rise to a culture consisting of a top down environment for the managers regarding fulfilling the targets (Castille, Buckner and Thoroughgood 2018). Installation of a flatter structure was one of the major goals of Bison for empowering the managers. Typical evidence of this lies in encouraging the line managers to adopt hands-on approach towards recruitment and selection of the personnel and appraising their performance. The main focus in cultural change was training the staffs to lead rather than management. This approach is appropriate in terms of preparing long term goals. Along with this, the approach also indicates empowerment of the staffs towards their professional development. Countering this, the staffs could lead if they are taught the means of managing their performance. Herein lays the appropriateness of training, which possesses the flexibility to upgrade the preconceived skills, expertise and knowledge. As argued by Lu (2014), inculcating the values of self-organizational skills within the staffs enhances the personality of leaders like Bison. This is in terms of ensuring the development of the staffs. Bison specifically aimed at appointing six to eight people per report. This is in terms of enhancing the accountability of the managers and supervisors towards leading their team members. Here, he imposed the condition that he would fire those people, who do not have any tie ups with the company earlier. However, his consciousness regarding worsening the public relations, as a result of this decision, makes Bison a true leader. Loyalty with the staffs towards the work reflects the cultural workplace ethics (Konopaske, Ivancevich and Matteson 2016). Repetitive working type resulted in low turnover, creating less problems with retention. The personnel are of the view that the working floor are “cold and noisy”, which is inappropriate for all kinds of staffs. Continuous employment in the production lines have increased the physical demands, which took Meatpack to the exact and relevant means for reaching to the standard level of performance. Cultural clashes have been mitigated noticeably, which indicates the enhancement of the cultural diversity in the workplace. Most of the employees are tenured, however, they are resistant towards adopting the cultural changes. Assurance in case of the employees adds positivity into the organizational culture of Meatpack. This is in terms of the decisions undertaken for the betterment of the company. Typical evidence of this lies in the introduction of effective training programs within the different managerial levels (Cooper, Stokes, Liu and Tarba 2017). Preservation of the organizational values, in case of the employees, who have switched over to Meatpack competitors, enhances the cultural diversity. Improved communication between the managers and the employees reflects the initiatives towards ensuring the wellbeing of the staffs in terms of their professional development. Meatpack is a company business owned by a small family. Derek Bison, the CEO envisions to become $1 billion Company by 2020. For this, he introduced many changes in the senior strategy team. Along with this, he needs to be credited for bringing certain cultural changes within the workplace. Adopting flat organizational structure improved the relationship between the managers and the employees. Division of the company into several branches reduced the burden on the managers, increasing the responsibilities of the employees. Training the managers indicates a wise start towards the adopting the proposed changes in a proper manner. 1. Bolman, L.G. and Deal, T.E., 2017. Reframing organizations: Artistry, choice, and leadership. John Wiley & Sons. 2. Cartwright, S. and Cooper, C.L., 2014. Towards organizational health: Stress, positive organizational behavior, and employee well-being. In Bridging occupational, organizational and public health (pp. 29-42). Springer, Dordrecht. 3. Castille, C.M., Buckner, J.E. and Thoroughgood, C.N., 2018. Prosocial citizens without a moral compass? Examining the relationship between Machiavellianism and unethical pro-organizational behavior. Journal of Business Ethics, 149(4), pp.919-930. 4. Chen, M., Chen, C.C. and Sheldon, O.J., 2016. Relaxing moral reasoning to win: How organizational identification relates to unethical pro-organizational behavior. Journal of Applied Psychology, 101(8), p.1082. 5. Cooper, S.C.L., Stokes, P., Liu, Y. and Tarba, S.Y., 2017. Sustainability and organizational behavior: A micro?foundational perspective. Journal of Organizational Behavior, 38(9), pp.1297-1301. 6. Elsbach, K.D., Kayes, A. and Kayes, D.C., 2015. Contemporary Organizational Behavior: From Ideas to Action. Pearson. 7. Gelfand, M.J., Aycan, Z., Erez, M. and Leung, K., 2017. Cross-cultural industrial organizational psychology and organizational behavior: A hundred-year journey. Journal of Applied Psychology, 102(3), p.514. 8. Graham, K.A., Ziegert, J.C. and Capitano, J., 2015. The effect of leadership style, framing, and promotion regulatory focus on unethical pro-organizational behavior. Journal of business ethics, 126(3), pp.423-436. 9. Greenberg, J., 2014. Behavior in Organizations: Global Edition. Pearson Higher Ed. 10. Kanfer, R. and Chen, G., 2016. Motivation in organizational behavior: History, advances and prospects. Organizational Behavior and Human Decision Processes, 136, pp.6-19. 11. Kinicki, A. and Fugate, M., 2016. Organizational behavior: a practical, problem-solving approach. McGraw-Hill Education. 12. Kong, D.T., 2016. The pathway to unethical pro-organizational behavior: Organizational identification as a joint function of work passion and trait mindfulness. Personality and Individual Differences, 93, pp.86-91. 13. Konopaske, R., Ivancevich, J.M. and Matteson, M.T., 2016. Organizational behavior and management. McGraw-Hill Education. 14. Lee, A., Schwarz, G., Newman, A. and Legood, A., 2017. Investigating when and why psychological entitlement predicts unethical pro-organizational behavior. Journal of Business Ethics, pp.1-18. 15. Lu, X., 2014. Ethical leadership and organizational citizenship behavior: The mediating roles of cognitive and affective trust. Social Behavior and Personality: an international journal, 42(3), pp.379-389. 16. Luthans, F., Luthans, B.C. and Luthans, K.W., 2015. 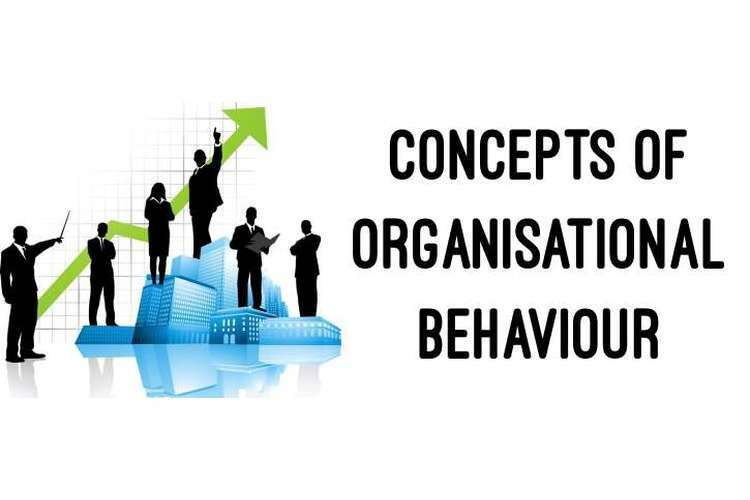 Organizational Behavior: An EvidenceBased Approach. IAP. 17. Miller, D., 2016. Article Commentary: Response to “Research on the Dark Side of Personality Traits in Entrepreneurship: Observations from an Organizational Behavior Perspective”. Entrepreneurship Theory and Practice, 40(1), pp.19-24. 18. Miner, J.B., 2015. Organizational behavior 1: Essential theories of motivation and leadership. Routledge. 19. Mo, S. and Shi, J., 2017. Linking ethical leadership to employees’ organizational citizenship behavior: Testing the multilevel mediation role of organizational concern. Journal of Business Ethics, 141(1), pp.151-162. 20. Nicklin, J.M. and Spector, P.E., 2016. Point/Counterpoint introduction: The future of theory in organizational behavior research. Journal of Organizational Behavior, 37(8), pp.1113-1115. 21. Pinder, C.C., 2014. Work motivation in organizational behavior. Psychology Press. 22. Ployhart, R.E., 2015. Strategic organizational behavior (STROBE): The missing voice in the strategic human capital conversation. Academy of Management Perspectives, 29(3), pp.342-356. 23. Tian, Q. and Peterson, D.K., 2016. The effects of ethical pressure and power distance orientation on unethical pro?organizational behavior: the case of earnings management. Business Ethics: A European Review, 25(2), pp.159-171. 24. TYLER, T., 2014. Interpersonal treatment, social identity, and organizational behavior. Social identity at work: Developing theory for organizational practice, p.155. 25. Van Knippenberg, D. and Hogg, M.A., 2018. Social identifications in organizational behavior. The self at work: Fundamental theory and research, pp.72-90. 26. Vasu, M.L., Stewart, D.W. and Garson, G.D. eds., 2017. Organizational Behavior and Public Management, Revised and Expanded. Routledge. 27. Wang, H., 2018. Effect of Perceived Organizational Virtuousness on Challenge-Oriented Organizational Citizenship Behavior: A Dual Mediation Model. American Journal of Industrial and Business Management, 8(06), p.1536.